If It's Hip, It's Here (Archives): Lucky Ducks... I Mean Turkeys. Meet Cobbler and Gobbler, This Year's Pardoned Thanksgiving Fowl. Lucky Ducks... I Mean Turkeys. 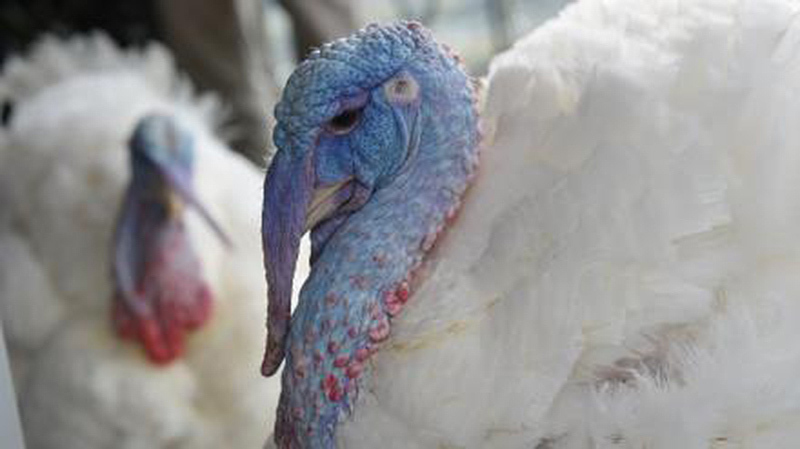 Meet Cobbler and Gobbler, This Year's Pardoned Thanksgiving Fowl. 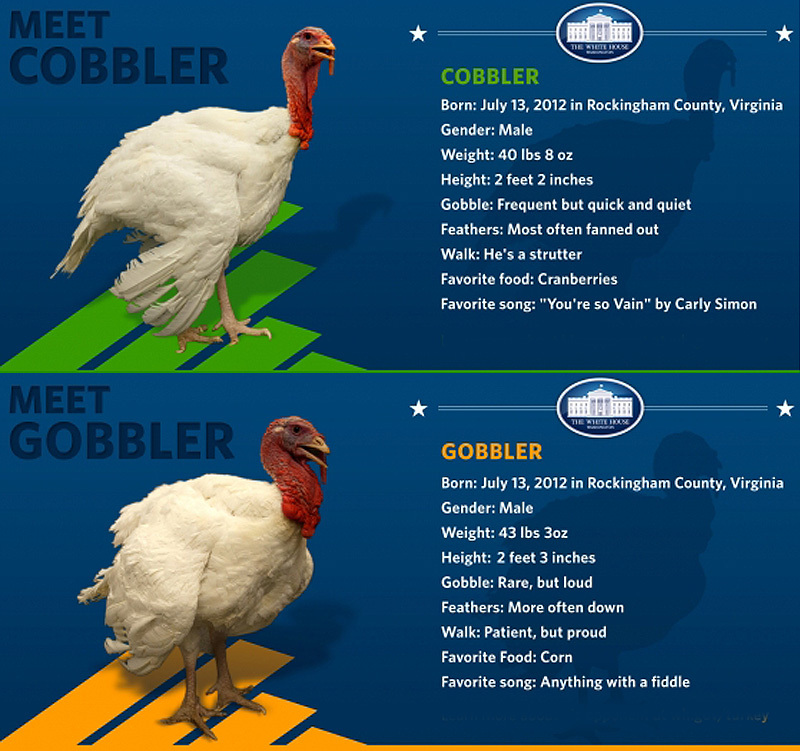 This year the choice was between Cobbler and Gobbler (via an online social media vote), two 19 week-old, 40 pound birds. Elementary school students in Rockingham County, Virginia - the native area of the turkeys - chose the names. 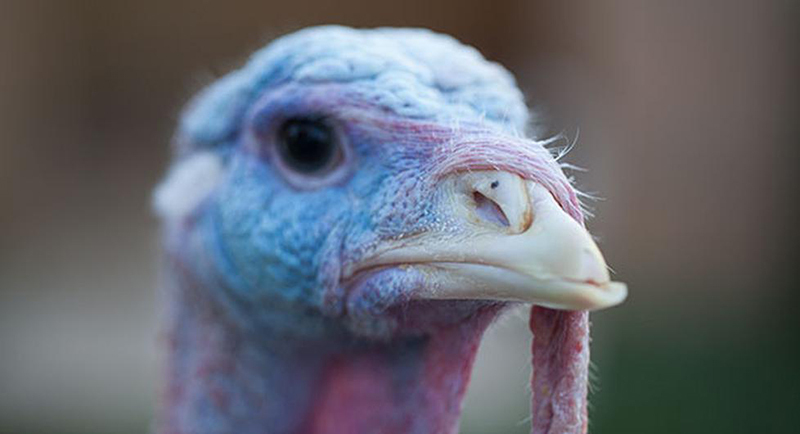 While one of the turkeys is recognized as the National Thanksgiving Turkey – chosen for the first time by the American public through an online contest this year – the president traditionally pardons both turkeys, one serving as an alternate. "If for some reason Cobbler cannot fulfill his duties as the official White House Turkey, Gobbler will be waiting in the wings," Obama said. 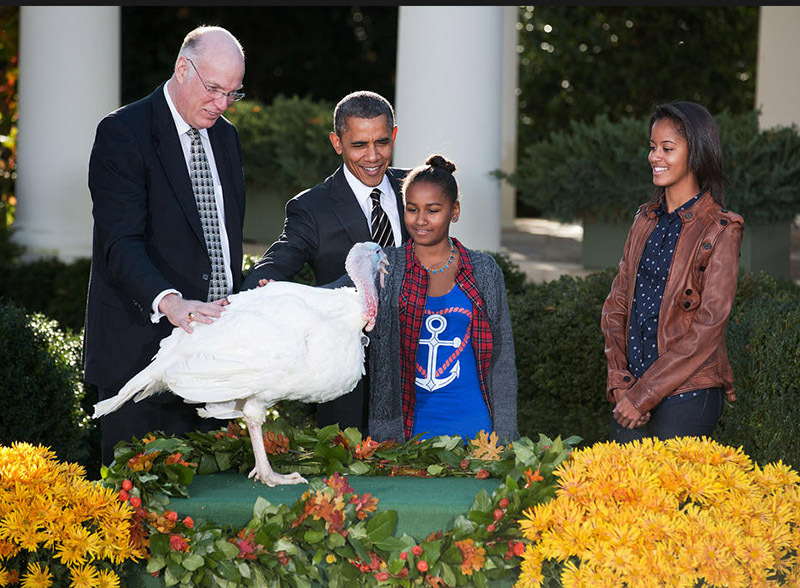 With the turkey gobbling away nearby, Obama teased about new beginnings. "They say that life is all about second chances, and this November I could not agree more," he said, joking about his re-election. "So in the spirit of the season, I have one more gift to give and it goes to a pair of turkeys." 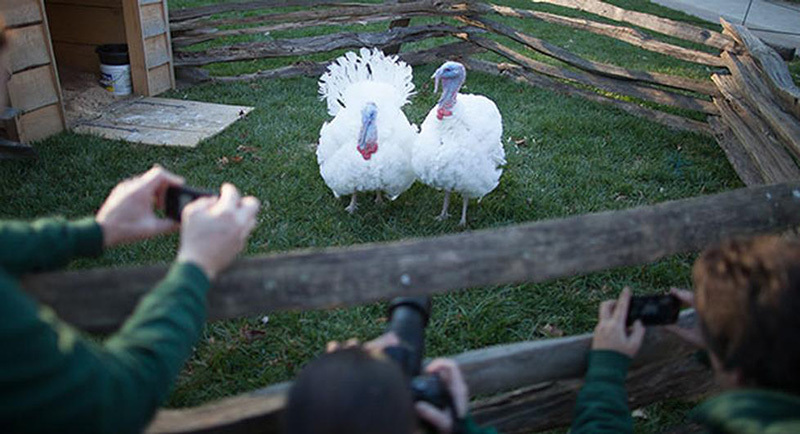 Following the pardoning, the turkeys will be taken to George Washington's Mount Vernon Estate and Gardens, where the winning turkey will be on display for visitors during "Christmas at Mount Vernon." They'll stay on the property after the holidays. 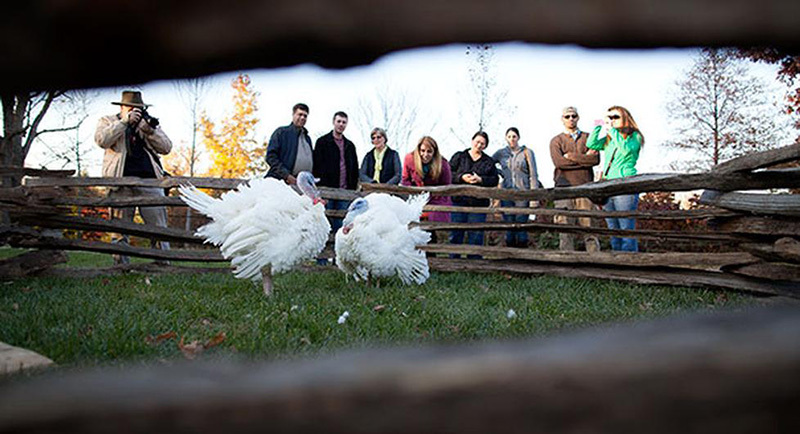 The birds grew up on a farm near Harrisonburg, Virginia under National Turkey Federation Chairman Steve Willardsen's supervision. This year marks the 65th anniversary of the turkey presentation. In his remarks, Obama also thanked the troops overseas and asked Americans to remember the victims of Superstorm Sandy, which killed dozens in the U.S. and wreaked major devastation across the Northeast last month. Concluding his comments, the president gave one final blessing to the turkey. "You are hereby pardoned. Congratulations, Cobbler," the president said. "You'll have a great life."